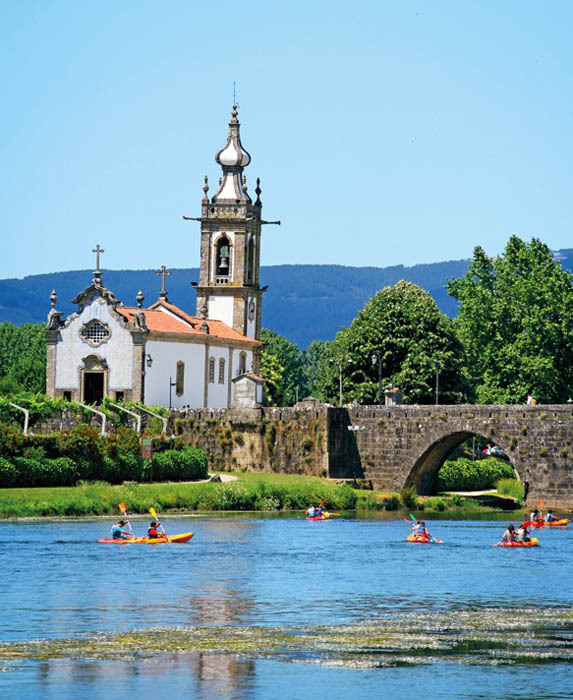 Visit the beautiful village of Ponte de Lima and admire its Medieval bridge, considered the most beautiful in Portugal. Ponte de Lima is a beautiful picture-book town located besides the Lima River. 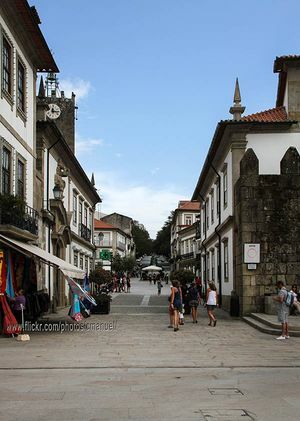 It is surrounded by a valley crowded with quintas and palaces, many of them dedicated to the “habitação” tourism (renting houses). The Queen Dña. Teresa awarded, in 1125, the “foral letter” (charter of rights) to this population; and D. Pedro I protected it with walls, from which some pieces still exist, towers, and ogive arches doors. 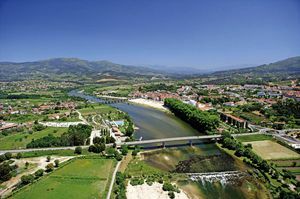 Ponte de Lima comes back to life on weekends thanks to the massive arrival of national tourists. Also, on alternate Mondays the huge market is held by the river. 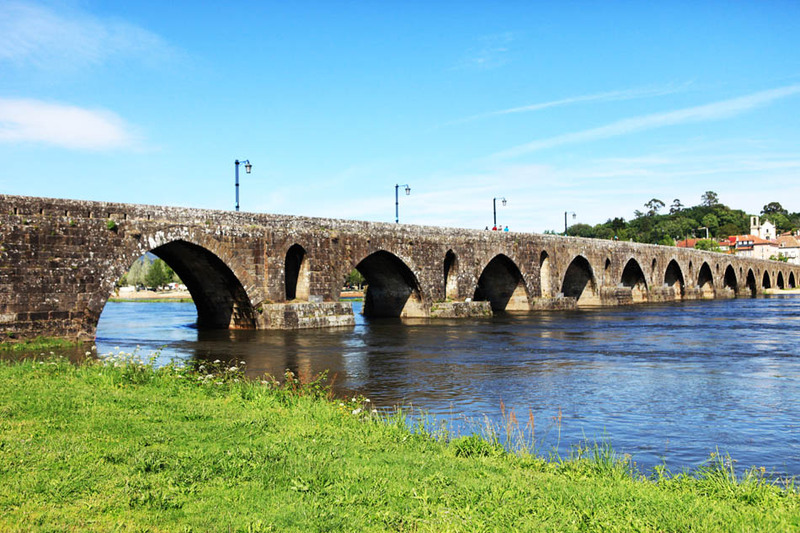 Its main monument is the 280 metres long bridge, considered the most beautiful Medieval bridge in Portugal. 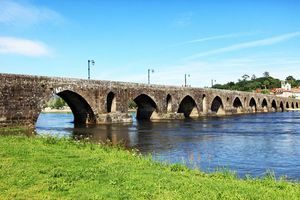 Nowadays, it still has a reduced part with five Roman arches, but the rest of the bridge is from the 14th century, since it had to be enlarged during that time due to a change in the course of the river. In front of it stands the Largo de Camões with a beautiful 1603 chafariz, work by João Lopes o Moço. On its Medieval stretch with stone paved streets you will find numerous emblazoned houses and common ones covered with tiles houses. The Alcaidaria, the former Palácio dos Marqueses de Ponte de Lima Palace (15th century) preserves its Manueline windows. 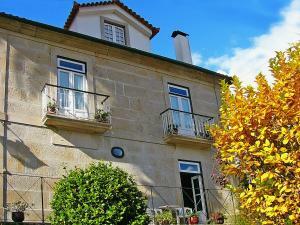 Stand out in the city the Casa de Nossa Senhora Aurora House (18th century) and the houses Dos Calistos and Dos Garrida, the last one of Rocaille style. As regards its religious heritage, it is worth visiting the Parish Church, dating from the 15th century with a ogive arch arcade; the Igreja da Misericórdia Church, from the 16th and 18th centuries; the Igreja de Santo António dos Frades Church, sacristy of which is covered with blue tiles dating between the 16th and 18th centuries; and the Igreja da Orderm Terceira de São Francisco, 18th century work. 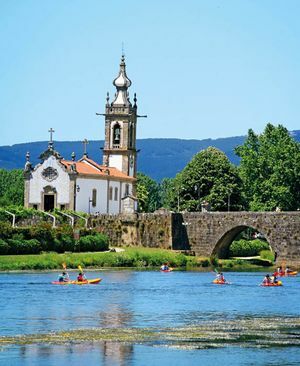 On the other side of the bridge stands the Igreja de Santo António da Torre Velha Church, of late baroque style and the Capela do Anjo da Guarda Chapel (13th century), of Gothic style. Regarding festivities and celebrations, it is worth marking on the calendar the Vacas da Cordas and Corpus Christi festivities. In these celebration, there is a kind of bullfight and religious procession which takes place in the ninth Wednesday after Easter. More important dates are the Feiras do Cavalo (on the third week of june), which is an important equestrian fair; and the Feiras Novas, one of the oldest festivities in Portugal (it is celebrated since 1125). It lasts for three days on the third week of September with a huge market and a fairground by the river, where you can enjoy folklore dancings, fireworks, concerts, etc. 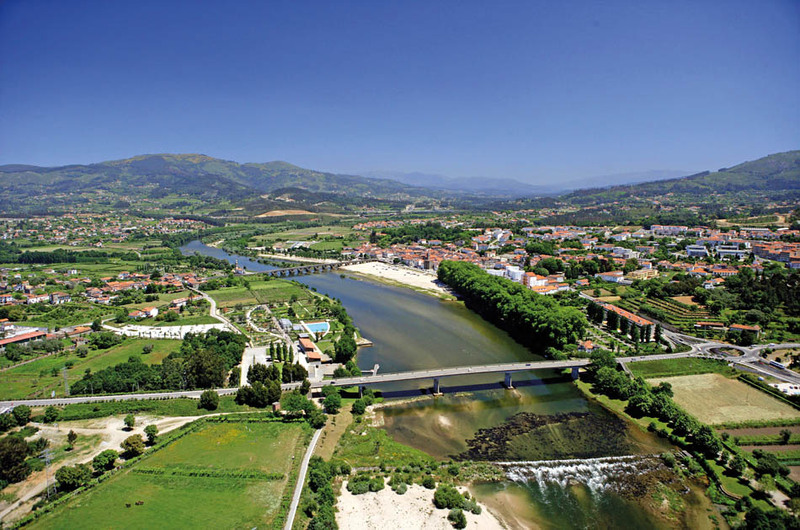 On the surroundings of Ponte de Lima is worth visiting Ponte da Braca, a gorgeous population with Medieval origins, located 17 kilometres East.